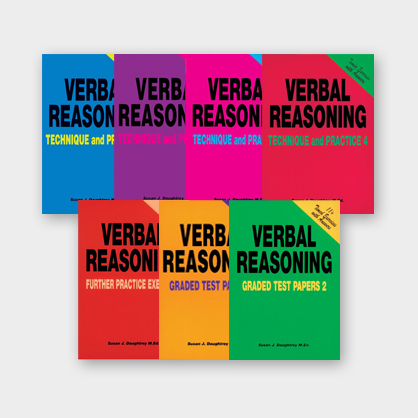 Buy Verbal Reasoning Technique & Practice books 1-4, Further Practice Exercises and Graded Test Papers 1-2 for a special bundle price. Save £12.93 or 24% compared to the cost of buying these books individually. 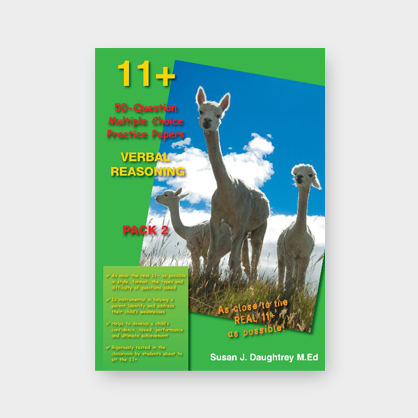 The series of 4 Technique and Practice books teaches the child the technique of all the types of Verbal Reasoning question found on a GL Assessment or Moray House 11plus VR paper and includes over 300 minutes of timed practice questions. Further Practice Exercises is designed to give more timed practice to the child who has completed, or is in the process of working through the 4 Technique and Practice books. 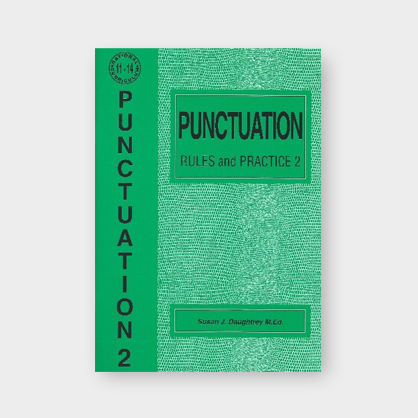 This book gives the opportunity to further practice each technique, to improve timing and thereby to enhance performance. Graded Test Papers contain standard version test papers (Papers 1 – 5 in GTP 1 and Papers 6 – 10 in GTP 2) that are graded in difficulty. Best used in conjunction with the Technique and Practice books, these books give the child his first experience under examination conditions to complete ten 50-minute tests of 100 questions each. The techniques on each test paper are identified in the answers, so any weaknesses can be re-addressed by reference back to the four Technique and Practice books which use the same type-reference system. A Personal Record Table records the test scores. 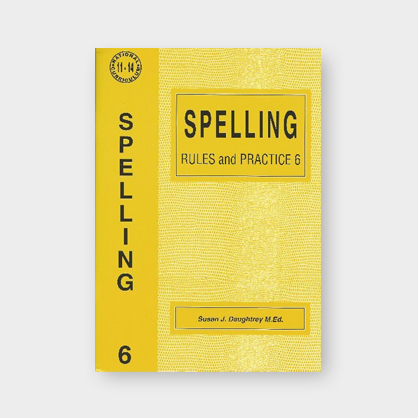 Please note these books are excellent practice even for those students who are preparing to ultimately write multiple choice exam formats for the real 11+ tests.